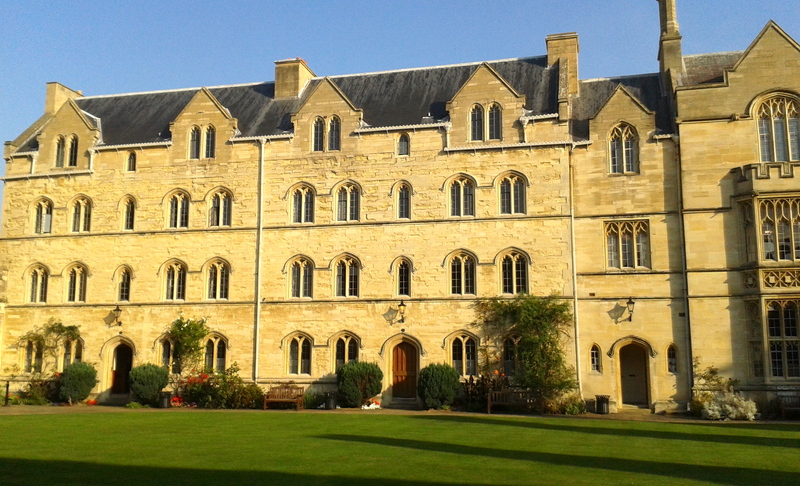 After workshops and conferences held in Durham, Porto and Lincoln, it seems only right that the interdisciplinary and international team of the Ordered Universe Project is now meeting in Oxford – the very place where Grosseteste spent part of his early scholarly career and where today the Bodleian and College libraries keep many of the original manuscripts. 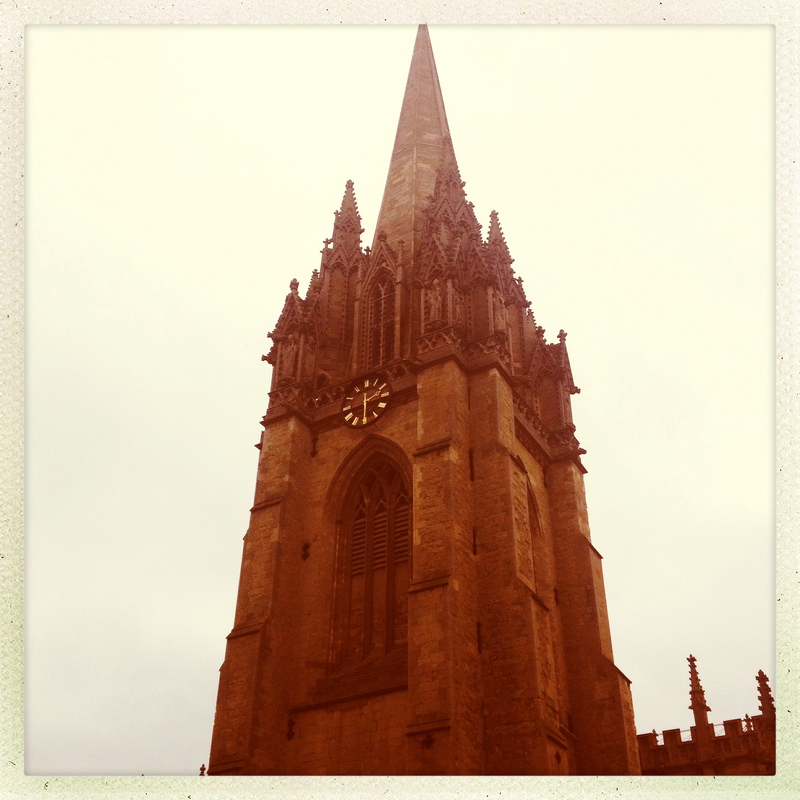 Having graduated from the Psychology and Philosophy undergraduate course just this summer, I’m especially looking forward to being in Oxford next week, now as a Pembroke alum. 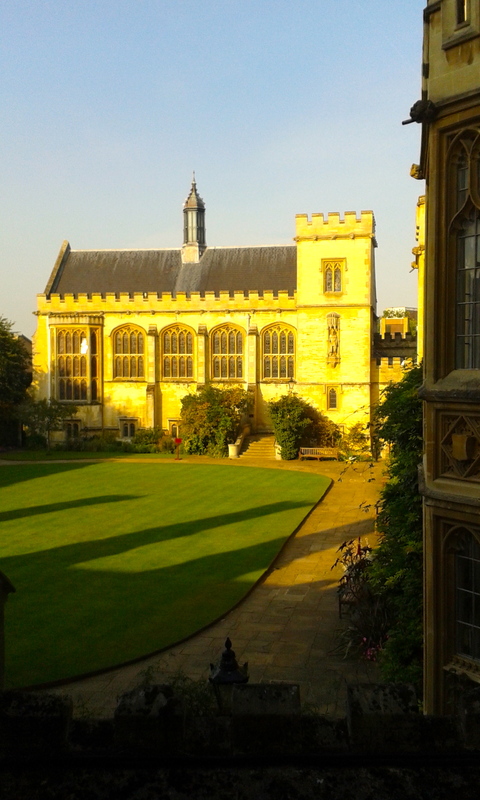 Admittedly, Pembroke College might not be amongst the most famous of the Oxford Colleges, but its Master Dame Lynne Brindley certainly had a point when she called the College a ‘hidden jewel’. With Pembroke Square often being densely populated by tourists frantically taking pictures of Tom Tower of Christ Church, most visitors remain oblivious to what they are missing out on just behind their backs. Thanks to Richard the Gardener’s magic green fingers Pembroke can justifiably pride itself to have the most amazing flower beds and window boxes of all Oxford Colleges. 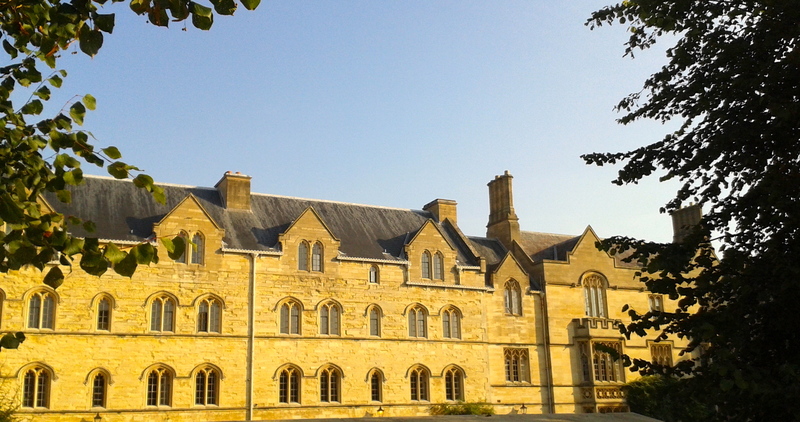 Just a few metres away from St Aldates busy traffic, Pembroke quads are a wonderfully sheltered retreat. When entering through the Lodge – tucked away in the corner of Pembroke Square – one is first greeted by the College Porters, who are there 24/7 to help you out with whichever queries or problems you might have. When proceeding into Old Quad you’ll be able to spot, painted on the walls and in parts hidden by roses and petunias, attestations of the College’s numerous rowing achievements. Hannah’s office is to be found in the top right-hand corner in staircase 6; this is where she patiently tries to explain colour perception and statistics to generations of students. 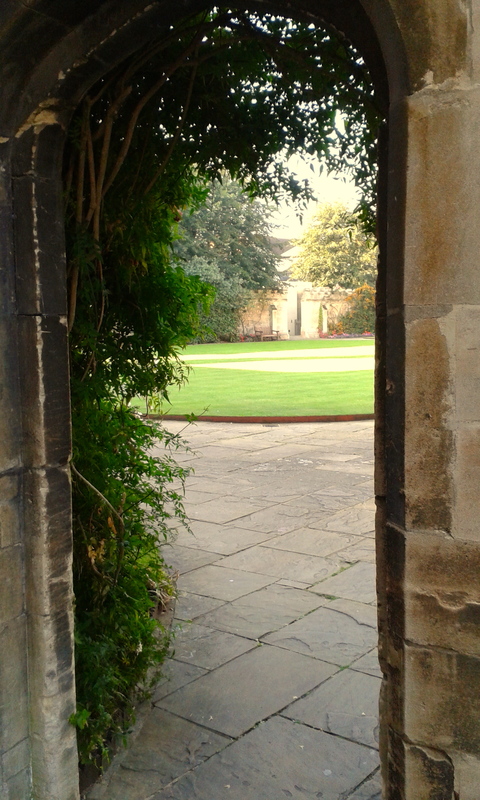 Through the archway on your right you’ll get into Chapel Quad, with the Chapel on the left and the Hall straight ahead. Unlike at other Colleges and much contributing to the welcoming and friendly atmosphere at Pembroke, during Trinity Term (the summer term in the Oxford academic year) it is very much allowed to step, sit and play Croquet on the lawn. To the right Chapel Quad is joined by another little archway to North Quad, formerly Beef Lane, with its row of colourful houses (one of which, staircase 16, is also affectionately referred to as the pink palace) and the Samuel Johnson building, named after the most often mentioned alum. I’m still puzzled that Tolkien (having been a Fellow for some time) is by contrast often passed over, but maybe I just lack the appropriate enthusiasm excited by dictionaries in comparison to fantasy novels. 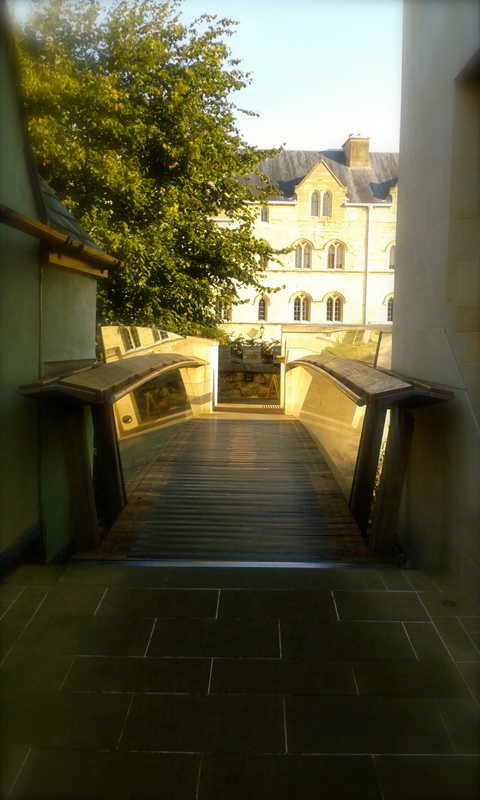 Through holes in the old city wall you can get from Chapel Quad to the New Built, Pembroke’s most recent development. Much to the Bursar’s pride the little footbridge across which you’ll walk has been nominated for some or other short footbridge award (yes, apparently there is such a thing). At the other side Farthings Café is waiting with many treats and delicacies, but for more substantial meals during the course of the conference we’ll be hosted in Hall by Kevin the Chef. Countless of my Pembroke memories are tied to that setting, where many formal and fancy dinners were held and numerous Collections (welcome-back exams at the start of every new term) were sat – with memories of the former certainly being happier than those of the latter. Beyond Pembroke itself Broad and High Street are most definitely worth a wander – your way back you’ll easily find by using Tom Tower as your landmark (please ask Giles for why Tom Tower looks like a space rocket and for more stories on what Christ Church students like to spend their time doing). If you’re eager to escape the city’s razzle-dazzle for a little while I’d recommend a walk through Christchurch meadow (just across St. Aldates) and the adjacent Botanic Garden, or along the Isis (elsewhere known as the Thames…) to Iffley or Port Meadow. It’s one of the real treats of living in Oxford that before you know it you’ve left the city behind and find yourself surrounded by water, trees and tranquillity. My time at Pembroke has been incredibly stimulating and enriching and I’m sure the upcoming conference will be held in just this spirit. 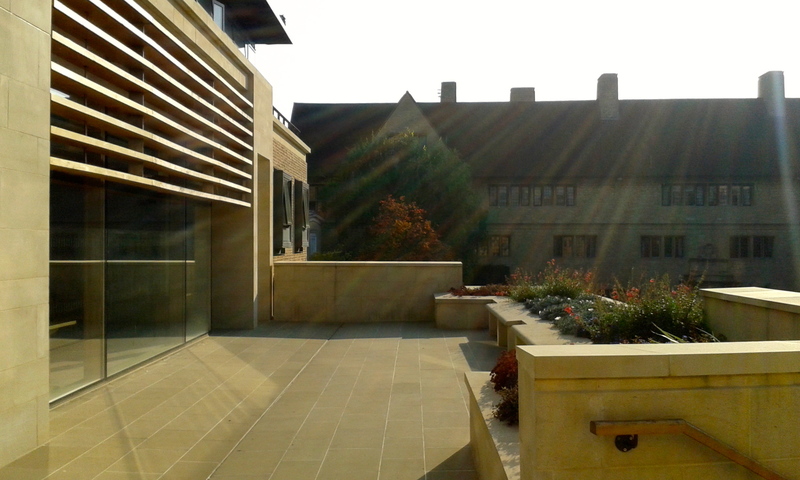 Pembroke College is a place where Fellows and students from a huge range of disciplines and backgrounds learn and live together – could there be a more appropriate venue for an Ordered Universe Conference?